Yep, these bath bombs are Amazeballs. 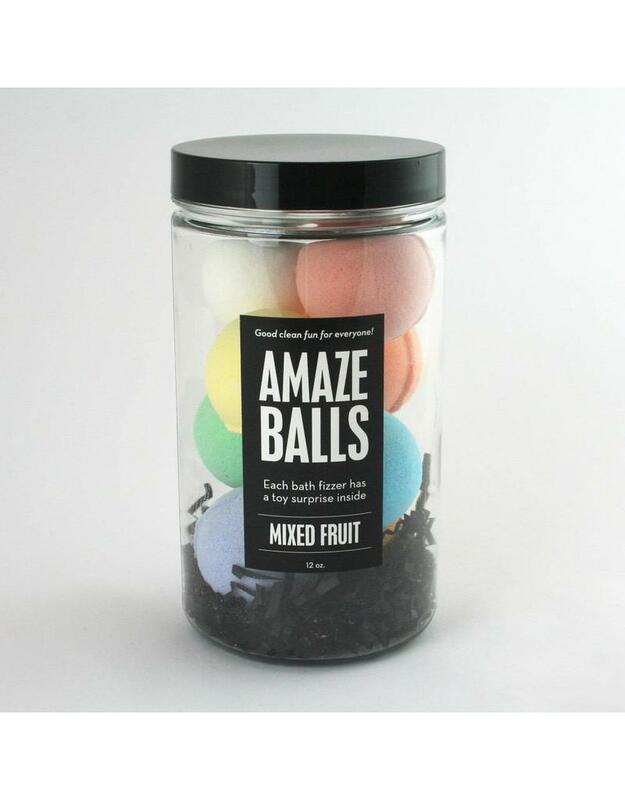 Each fizzer has a surprise inside. The surprises are suitable for both genders. Use 1 to 3 bombs per bath. INGREDIENTS: baking soda, citric acid, food grade PEG, fragrance. May contain cosmetic grade pigment, mica. Phthalate-free, Paraben-free, SLS-free, Sulfate-free, Gluten-free, Cruelty-free and Vegan.